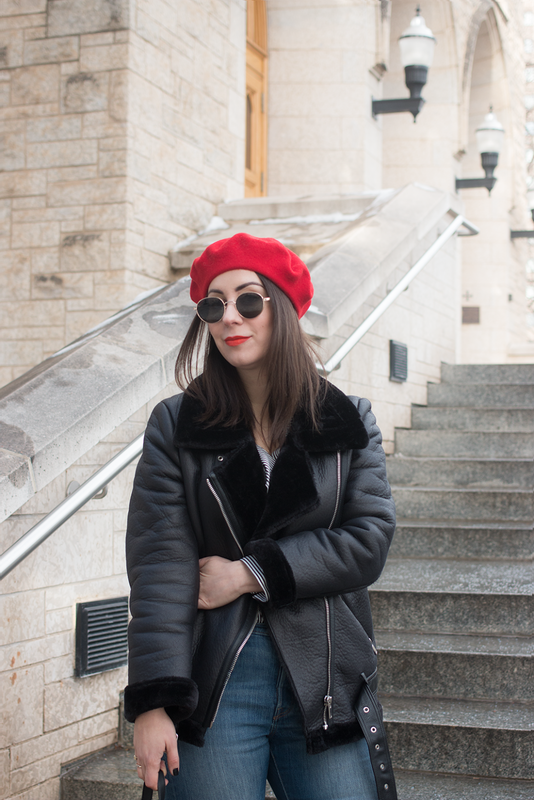 As I mentioned on my Instagram recently, I'm in serious denial about not being French— or anything remotely as cool— and yet, my beret addiction persists. 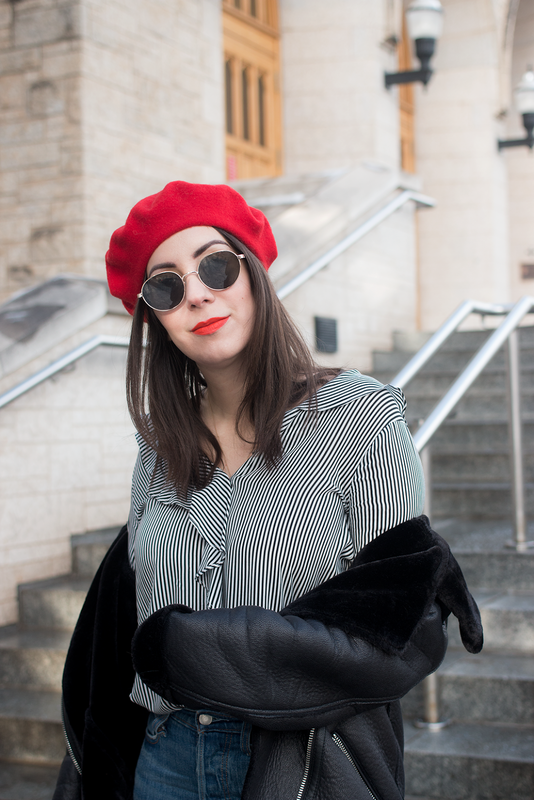 If I'm not wearing a beret, chances are that's because I'm in my pyjamas, and Boyfriend probably wouldn't take too kindly to such a bold bedtime statement (think: Parisian Ebeneezer). I just can't help myself, though— they seriously go with everything (again, PJs notwithstanding), and I love how berets always seem to breathe new life into old outfits while expertly masking day-two hair. Genius. I love that you are putting together a collection of berets. It's not a trend I think I can rock, but you look amazing in it! I just love the way the red pops in this outfit. I am addicted to berets too .